25% deposit is required upfront to secure your spot in my project calendar. Another 25% is due at the start of your project, and the other 50% is due after you approve the design and before the final files are sent. The payments are accepted via Stripe. What if I need more than five collateral items? Can I add additional collateral design to my packages? Absolutely! If you need more than five collateral items (included in both packages) let me know in our initial consultation. See the collaterals available at this page. I can’t afford your packages – can I remove some of the design elements to fit it to my budget? Do you offer à la carte and just logo design? I strongly believe that branding is more than just a logo and as much logo is important for your business, it’s simply not enough. My goal is to provide you with a cohesive and streamlined brand from start to finish, therefore I only offer all-inclusive brand design package and brand and web design package. The only exception for the a la carte option is for my past brand or web design clients, for which I design other collaterals and do other tasks on an hourly basis. What will you need from me before and during the time we work together? What’s my involvement in the design process? Before the start date, you’ll receive a brand or brand & website design questionnaire from me to fill in with a little homework for you to create a Pinterest board with inspiration, so I can get to know your style preferences more. About a week after a start date (or at the beginning if you already prepared them) I’ll need to be finalised copy & images for the collaterals design you’ve chosen. About one and a half or two weeks after a start date (or at the beginning if you already prepared them) I’ll need a finalised copy & images for the website pages design you’ve chosen. During the time we work together, I’ll need your prompt responses to design concepts I sent and timely feedback on what would you like to change in the concepts (revision). Do you use any project management software? Is it possible to book your services in advance? Yes, absolutely. In the brand design and brand & website design inquiry, you can find a question about the preferred start and end dates, so let me know there that you’d like to book dates for example 6 months from today. I’ll email you back with the available dates. How far in advance are you booked out? How can I secure the project dates I’m interested in? Are you going to keep them for me? I always give my soonest availability dates when I get back to your email. I can keep the dates for few days, but I usually negotiate with few clients at the same time. I work on first come first served basis, so the person who pays the 25% deposit to secure their spot in the project calendar gets the date, therefore I can’t guarantee that the date you wanted will be available for you. I’m not ready for website design yet, so for now, I want you to only do a brand design and then I want to hire you to do website design. Is that possible? What if I need more designs, website maintenance or technical help. Do you offer additional services like this? I use WordPress (org) to create websites for my clients. I personally use self-hosted WordPress and highly recommend it, because it’s customizable and easy to use. Do I need to buy a domain before you develop my website? Yes! I highly recommend to purchase your hosting via SiteGround, you can purchase your domain there too, or on a site like NameCheap. What if I need more than five pages design or additional functions to my website? Can I add additional functions and pages design to my packages? Absolutely! If you need more than five pages design (included in the package) and/or additional functions to your website, let me know in our initial consultation. 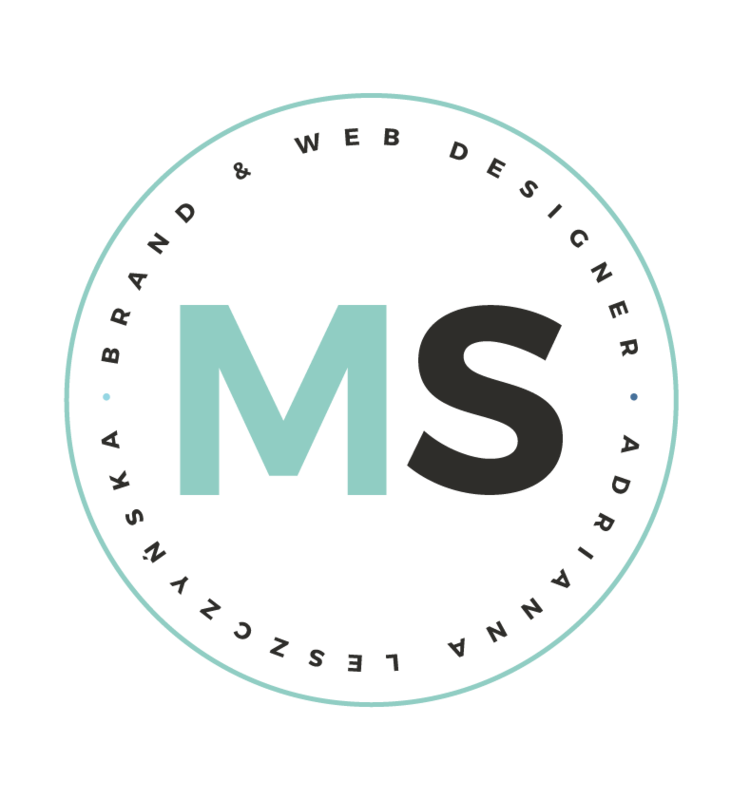 Do you need to have all final website copy and images ready before you design my website? Yes! You need to provide all the final copy and images prior to site design. Will I be able to make changes on my own after you hand over my website? Absolutely! Your WordPress site will be easy to navigate. You’ll have the freedom to write new blog posts, update copy and photos on your website. However, I’m happy to help you with any updates or additional website pages after we finish the initial project on an hourly basis. Will my site be mobile and SEO friendly? Yes! These days, it’s absolutely essential to have a site that works and looks great on all browsers and electronic devices. Your new website would be SEO friendly as well. Do you offer e-commerce (online shop) or membership website design? How does the entire process look like for the brand & website design package? Take a look at the step-by-step process for my brand & web design package. I want to move to self-hosted WordPress from another platform. Can I add it to the brand & web design package? Of course! We can move your content from another platform (Squarespace, Blogger etc.) into your new self-hosted WordPress website. Please note that the transfer is not included in the package and it’s billed separately. How does the entire process look like for the brand design package? Take a look at the step-by-step process for my brand design package. I need website along with the brand design, do you have a package for this? Do you need to have all final copy and images ready before you design my brand collaterals? Not at the moment, sorry. MintSwift is my brand’s blog and I personally write all of my posts. I have an amazing product/offer/service, will you promote it on your site? On my site, I only mention the products that I personally use and love. Therefore, I’m not going to promote any product/service at request, sorry. Feel free to get in touch if you have any questions, I’m happy to answer them! 😉 Please click the button below and fill the contact form or contact me directly at contact@mintswift.com I’ll try to respond to you within 1-3 business days.